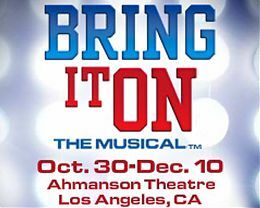 Spend a night Downtown and enjoy the new musical "Bring it On" at the Ahmanson Theatre. "Bring it On" is the explosive new musical comedy that raises the stakes on over-the-top team rivalries set against the world of competitive cheerleading. 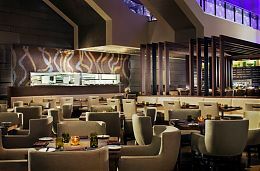 To book, please visit www.lalivemarriott.com/BringItOn and enter code ICP. (Package does not include show tickets). To purchase tickets, or for more information about the show, please visit www.centertheatregroup.org/BringItOn or call 213.628.2772. Let someone else do the cooking and the cleanup this year! Join us in LA Market Restaurant for a 3-course Thanksgiving feast with all of the holiday favorites, including Roasted Turkey Breast and Braised Leg with garnet yams, sausage-sage stuffing and giblet gravy. Finish your meal with Pumpkin Flan with autumn fruit compote, hazelnut praline and spiced anglaise for dessert. The 3-course menu will be offered for $52.00 per person, exclusive of tax and gratuity. For reservations, please call 213.765.8600. 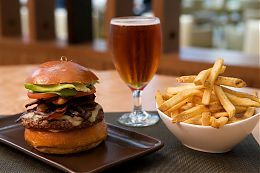 Every night the L.A. Kings play a home game at STAPLES Center, The Mixing Room will offer a special Burgers & Brews menu from 5:00pm to 9:00pm. Guests can choose any burger and any draft beer combo for $15.00 and enjoy all the pre-game coverage on one of The Mixing Room's ten 50" televisions. There are eight home games this November so join us to cheer on the L.A. Kings! Through November 24 the Spa will offer an exclusive menu of fall spa treatments, inspired by the rich vitamins, beta carotene and antioxidants found in pumpkin. 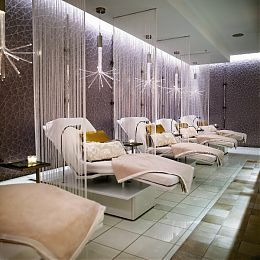 Seasonal treatments include a Pumpkin Hydration Facial (50 minutes/ $150), Pumpkin Body Crme Wrap (50 minutes/ $155) and a Pumpkin Pie Pedicure (50 minutes/ $75). After relaxing in the Spa, pick up a gift card, the ultimate holiday gift. One of the finest wine producers from Australia's Barossa Valley. Family-owned estate, producing nine varietal wines and proprietary blends from the celebrated Alexander Valley. 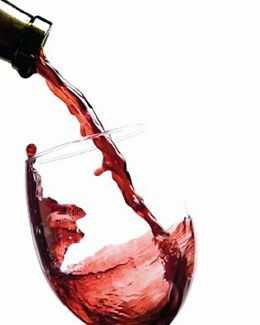 Producing ultra-premium wine grapes and artisan estate wines in the heart of Sonoma County. A Sonoma tradition since 1927, Pedroncelli is known for their award-winning wines.